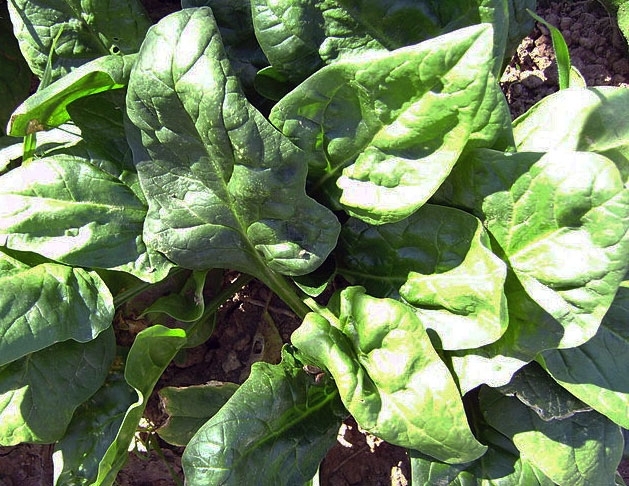 Spinach takes up 80 percent of its nitrogen needs in the final two weeks before harvest. UC Cooperative Extension advisors are studying the critical balance between fertilizer application and absorption in Salinas Valley spinach crops to help farmers meet new water regulations, reported Dennis Taylor in the Salinas Californian. Richard Smith and Michael Cahn, UCCE advisors for Monterey and other Central Coast counties, have been conducting field trials for several years to determine volume data on fertilizer application. Once growers know exactly how much nitrogen their crop is absorbing, they can more precisely apply an appropriate amount. Smith explained that baby spinach will absorb roughly 80 percent of the nitrogen it is going to take up in the final two weeks before harvest, making timing critical, Taylor reported. Spinach harvested a few days later, called "teen spinach" uses about 100 pounds of nitrogen per acre; larger-leafed spinach can used up to 120 pounds. A comprehensive rundown of Salinas Valley agricultural science published in the Salinas Californian prominently featured UC Cooperative Extension research and education. Reporter D. L. Taylor opened the web version of the article with a 90-second video clip showing Richard Smith, UCCE advisor in Monterey County, in a spinach field talking about the amount of nitrogen the crop takes up. Smith is conducting field trials on ways to more efficiently apply fertilizers, the article said. He is working with a product that works similar to time-release medicines that meters out nitrogen over an extended period. The system is expected to give plants the opportunity to absorb more nitrogen, permitting less to leach below the rootzone. Krishnamurthy Subbarao, UCCE specialist based at the USDA Salinas station, is working with colleagues to find new lines of iceburg lettuce with resistance to verticillium wilt, the article said. A new computer software tool developed by UCCE advisor Michael Cahn and his colleagues, called CropManage, helps growers figure out how much fertilizer and water to use and when on a field-by-field basis. 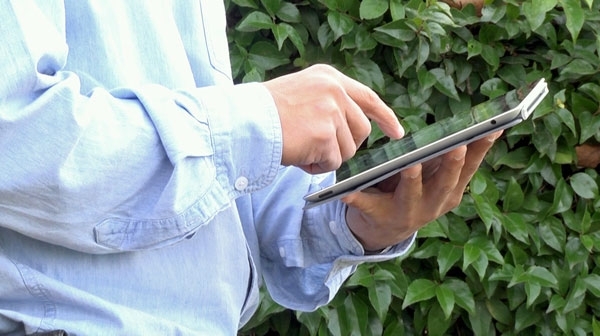 CropManage, a software tool developed by UC Cooperative Extension, can be used in the field with a tablet computer or smart phone. 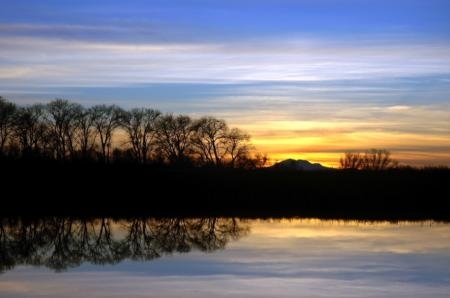 The Redding Appeal Democrat reported in December that the ranks of U.S. farmers is dwindling. Said Sutter County almond grower Mat Conant, "Pretty soon we'll be such a small minority nobody will listen to us." Fewer farmers means there are fewer lawmakers with first-hand knowledge of agricultural production. "You can go to Washington, D.C., and talk about agriculture, but it doesn't have the same impact if you practically experience it," said Christopher Greer, UC Cooperative Extension director for Yuba and Sutter counties. Lawmakers, like the people they represent, can be lulled into believing that America will always benefit from food costs significantly lower than in Europe, Greer added. "Everyone gets a little complacent," Greer said. "We expect food to be available at a fairly reasonable price." A meeting at the historical society on Jan. 5 began a year-long celebration of three Humboldt County agricultural organizations that are celebrating 100 years of service in the community: the University of California Cooperative Extension, Humboldt County 4-H Clubs and the Humboldt County Farm Bureau. Speakers at the event, including Yana Valachovic, UCCE director in Humboldt County, were slated to highlight the roles of each of these organizations in working with youth, commodity producers and the community over the last 100 years. Many events and presentations throughout 2013 will celebrate the local agricultural community. Third-generation Merced County farmer Chad Crivelli received this year's Farm Press/Cotton Foundation High Cotton Award for the Western States. Pete Goodell, UC Cooperative Extension advisor in integrated pest management, was quoted in the Western Farm Press article announcing Crivelli's award. "Chad meets with people during field trips to share the story about sustainable cotton," Goodell said. "He is a great spokesperson for urban folks who don’t understand what’s going on in cotton industry. He represents the cotton industry incredibly well, and the High Cotton Award is a well-deserved honor for Chad." Jose Aguiar, UC Cooperative Extension advisor in Riverside County, recounted a surprising problem with Coachella Valley peppers in 2012 at the recent Desert Crops Workshop in El Centro. Riverside County is the largest bell pepper producer in California. The Coachella Valley has about 5,000 acres of bell peppers with a farm gate value of about $90 million. UCCE advisor Richard Smith of Monterey County has found a similar problem in red pepper fields in the Salinas Valley. After testing, Smith’s first guess is the problem could be caused by the fruit rubbing against a branch. There are no holes in the fruit which eliminates the idea of insect damage. Victor Gibeault, UC Cooperative Extension specialist emeritist in the UC Riverside Department of Botany and Plant Sciences, received the 2013 USGA Green Section Award in recognition for distinguished service to golf through his work with turfgrass. "I am both pleased and honored to have been selected to receive the USGA Green Section Award," said Dr. Gibeault. "Now retired, I have been fortunate to spend my career as a University of California Cooperative Extension specialist, and in that role, I have worked on turfgrass research issues and educational projects and programs. My activities with the golf course industry have been enjoyable, fruitful, and have given me a sense of personal accomplishment, for which I am grateful." Gibeault holds the U.S. patents for two zoysiagrass cultivars, De Anza and Victoria, and one buffalograss cultivar, UC Verde. Additionally he co-edited the 1985 book, "Turfgrass Water Conservation." A significant number of articles publicized UCCE activities during the winter break. A daylong bus tour offered as part of the annual EcoFarm Conference at Asilomar Feb. 1-4 was led by representatives from Organic Ag Advisors, Community Alliance with Family Farmers and UC Cooperative Extension, according to a post by Caitlin Keller on the Daily Dish, a Los Angeles Times food blog. Monterey County UCCE farm advisor Richard Smith led a tour of innovative farms along the Central Coast. Asian citrus psyllid has been found in eight residential locations in the San Gorgonio Pass, according to a CDFA official. The pest was detected in Cabazon, Banning and Beaumont. "So far these are the eastern-most detections in Riverside County, so we would like to treat this area to knock down the population, and prevent it from spreading to the Coachella Valley," said Debby Tanouye, CDFA state branch chief of pest detection/emergency projects. UC Cooperative Extension and the California Dairy Quality Assurance Program hosted North Valley Dairy Day in Orland Feb. 6. The morning session focused on financial matters and the afternoon focused on feeding practices, pasture management and bovine illnesses. "They do a nice job," dairy producer Jason Osburn said. "I try to attend whenever they have one." Learning about new practices in the industry and getting up to speed on what is happening in areas outside Orland also interest him, Osburn said.